Italian brewmaster Teo Musso created Baladin, an incredible line of non-alcoholic sparkling sodas made with the highest quality ingredients. The flavors were inspired by the aromas and tastes of his childhood and the desire to recreate these traditional flavors for newer generations. Each drink contains no artificial colorings nor preservatives. 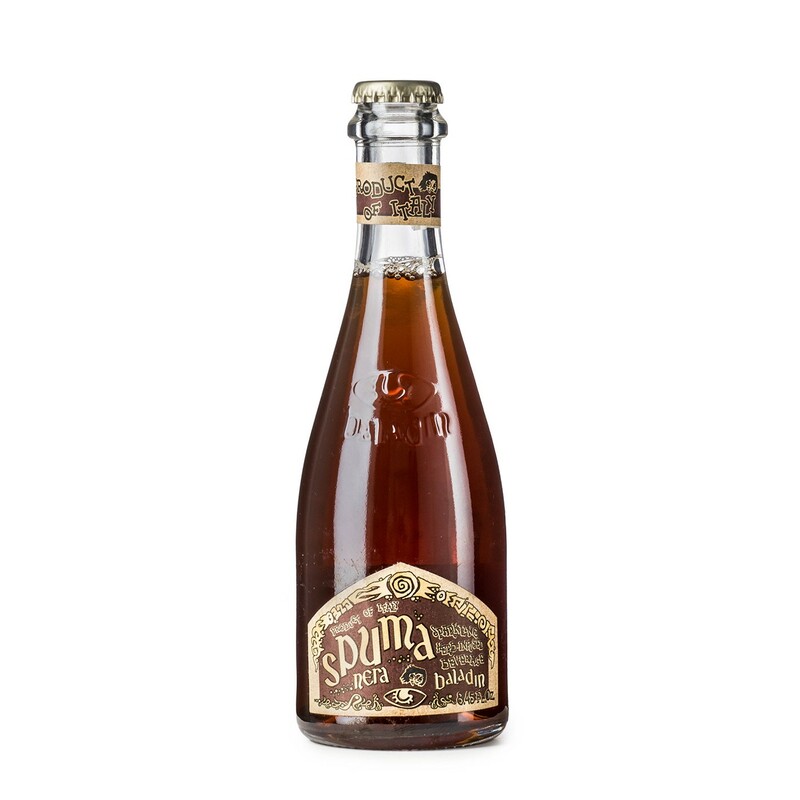 Spuma Nera, which translates to dark foam, may be considered the "mother" of chinotto. Slightly bitter yet subtly sweet, the infusion of myrtle-leaf, orange zest, and rhubarb has an unusual yet refreshing taste. Excellent on its own, this sparkling soda makes a creative addition to a cocktail.